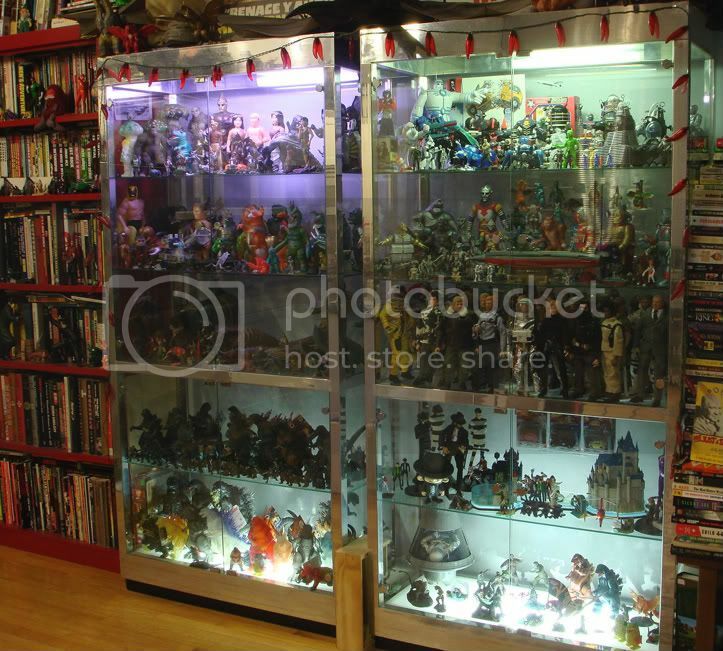 My searches are pretty much DVD-based, but I came across this on eBay. A Lupin Beach Towel! I think its the cat's pyjamas. 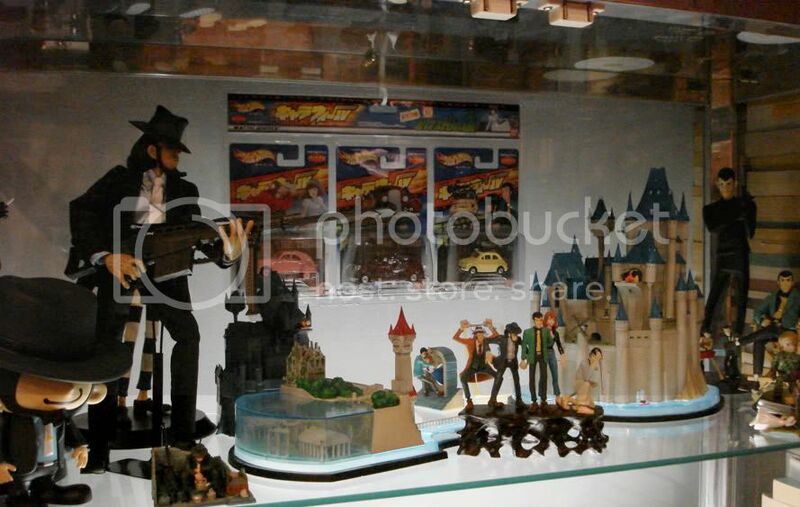 I think there was a color variant for all the 4 LE characters (Lupin/Fujiko/Jigen/Zenigata), but I'll have to check my Lupin toy box to be certain. 99 cents, that is awesome. I'll definitely toss those onto my next order. Speaking of the Chrono-Q figures, I thought I saw a Zenigata one with the American packaging on eBay (sold by itself, it didn't have a DVD with it). Has anyone else ever seen it? I'm curious to find out if they are new sculpts or yet another recolours of existing ones. Banpresto's Lupin merch site doesn't help at all. Anyone for the rescue? Curiosity is killing me. EDIT: Banpresto announced pictures for the first set I mentioned. Apparently I have to wait for january to find out what other two are like. Play-asia's CD sale is still going on. Via Scott Green @ AICN Anime, the scale model Castle of Cagliostro. Wow, that's pretty damn amazing. But just simply way too expensive. It's actually pretty nice but maybe a little smaller than you'd expect. 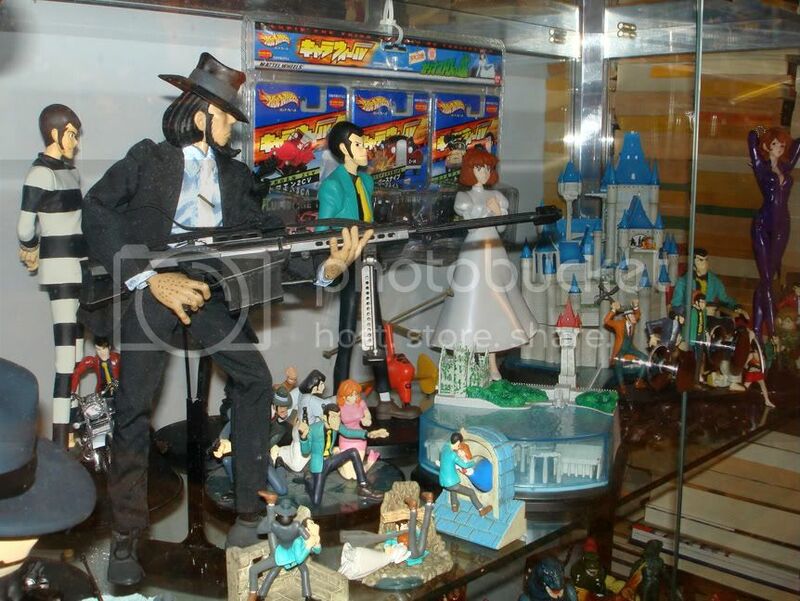 Here's a picture of it in my Lupin III display. I'm glad this product is getting some buzz. When I posted about it last Summer (see page one of this thread) I think it got one comment. Thank you very much! I'm very happy with the Castle, but did expect that it was going to be just a bit larger. The break away details are really cool though. I wish it had come with more 'props' (like some figures). I'm using a few of the ones that came with the Banpresto Castles. The scale isn't perfect but it looks OK. The Gyrocopters are just about the same size! I think the Castle that Wave produced (a model kit from about ten years ago) was larger, but lacked a lot of the details on view with this one. No one seems to be adding any Lupin merch to their collections (or at least posting about it). I recently received a couple new figures which led to some slight shelf rearranging (i.e. cramming).